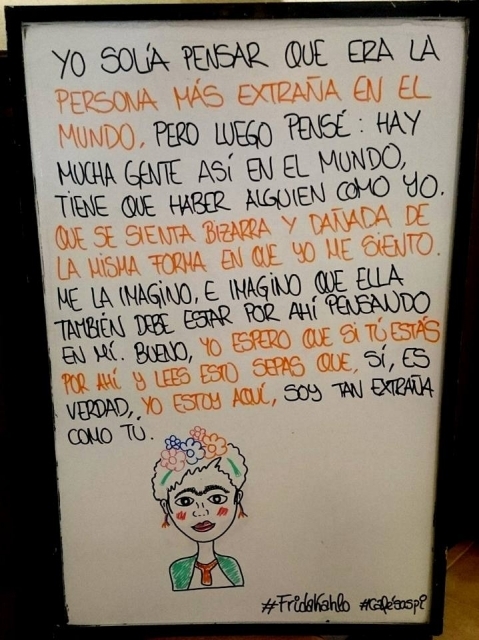 Although we have known the case recently, the whiteboard of Inma an María has been a discovery in social networks this summer, for us and for thousands of followers on social networks, where they share every two or three days new motivational and inspirational quotes from all kinds of personalities. 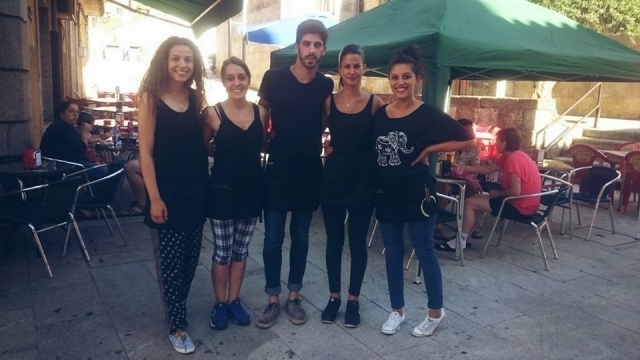 These sisters from Porriño, Pontevedra, where they run the Café Saspi, had the idea of sharing on their showcase phrases in a whiteboard found in the network and loaded with positive messages to inspire customers, and sharing also in Facebook, where more than 12,000 followers have been interested in their messages and shared it with friends. The chain has come so far to several million people. Café Saspi has been changing the quotes of its whiteboard for more than a year, and now ir more a symbol than anything else, since the death of writer Eduardo Galeano Montevideo on 13 April 2015. What that day was an eventually tribute, but now has become a habit in this bar in O Porrino. 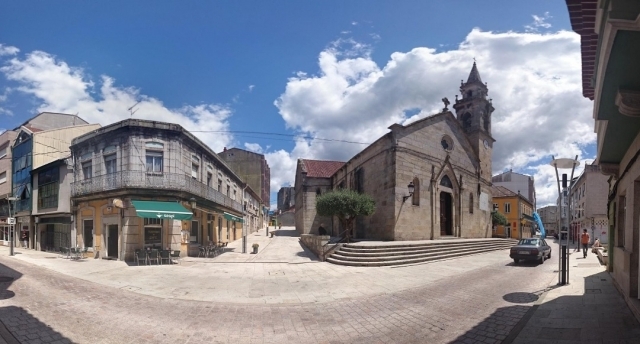 So you know, if these days you are walking the Portuguese Way and get to Porriño from Tui, before continuing your way, do not forget to visit Café Saspi and load your mind with positive energy. Una buena forma de darse a conocer por las redes, este tipo de mensajes se comparte como la pólvora. Una iniciativa muy curiosa, la verdad es que así animarán mucho a sus clientes. Cuanto menos, es algo original para atraer a los clientes.